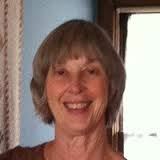 Kathryn has been involved in Montessori education since 1972, and has AMI and AMS training at the primary level. She and her late husband founded Mt. Sopris Montessori School in Carbondale, CO, in 1980, and co-directed it for twenty years. From 2001 - 2004 she and her husband lived and worked in Montessori schools in Philadelphia. Upon returning to Colorado, Kathryn served at head of school at Children's Garden Montessori School in Denver. Currently, Kathryn is an adjunct professor for The Institute for Educational Studies at Endicott College, and an instructor for the Montessori Education Center of the Rockies, where she is the coordinator for the Administrator Course. She is a graduate of TIES at Endicott College, and her Master's Thesis won the AMS award for best Montessori-focused Master's Thesis in 2008.